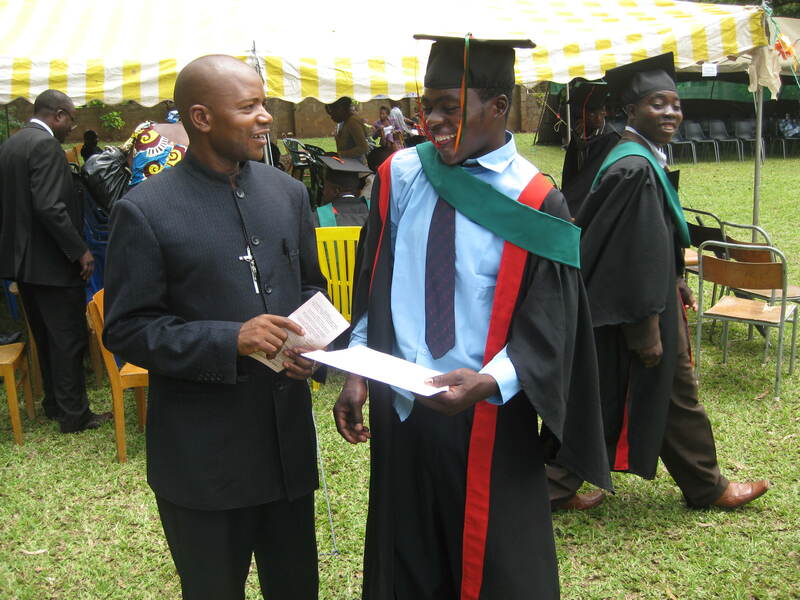 Zacharia, ex street child, with the late Christopher Mulenga of FOSC at his graduation ceremony. 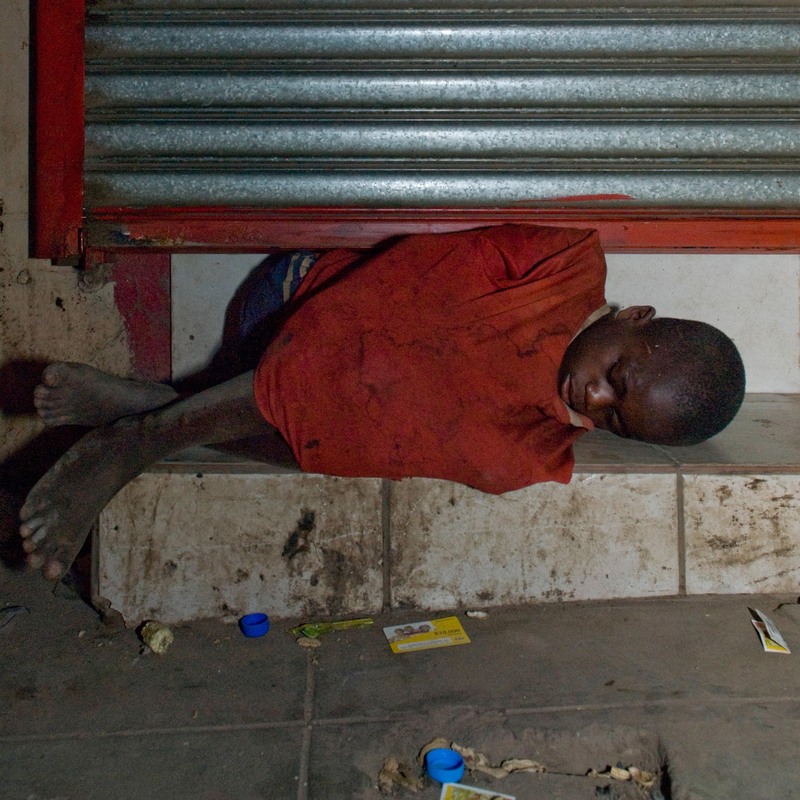 After the 2008 financial crisis support for street children NGO’s became more difficult to find in Zambia. Of four organisations looking after street children in Kitwe, only Friends of the Street Children (FSC) remains. Between 2005 and 2007 Romilly’s supporters generously paid for the construction of two dormitories and a borehole for FSC. Since 2008 Romilly’s charity and supporters and Friends of Africa have helped to make sure that FSC can continue to protect children from the disease and brutality of the streets. In addition to all the usual horrors of street life gangs of criminals coerce children into stealing copper for them. This imposes huge risks on the children. At the very least they risk a criminal record. Since the police shoot copper thieves on sight they may not get to prison, and even if they do they are unlikely to get out alive since in Africa, prison for someone young and defenseless is tantamount to a death sentence. In order to monitor activity on the street, the number of street children and gain their trust FSC visit the streets of Kitwe regularly. ” We have to park the van nearby. When things get dangerous we need a quick get away. If we rescue children from the streets we are taking their labour from the copper thieves. We are their enemies.” Romilly’s supporters have paid for the van and the petrol to go in it. Staff are also able to persuade some new arrivals to return home, before they become embedded in street life. Once at the shelter the work of reintegration begins. The remains of the children’s families need to be located so that they may eventually rejoin them. And while location and negotiation are proceeding the children need to be cared for, domesticated and brought back into the education system. If you would like news of how they are progressing please fill in the form below. We promise not to share your details with third parties.